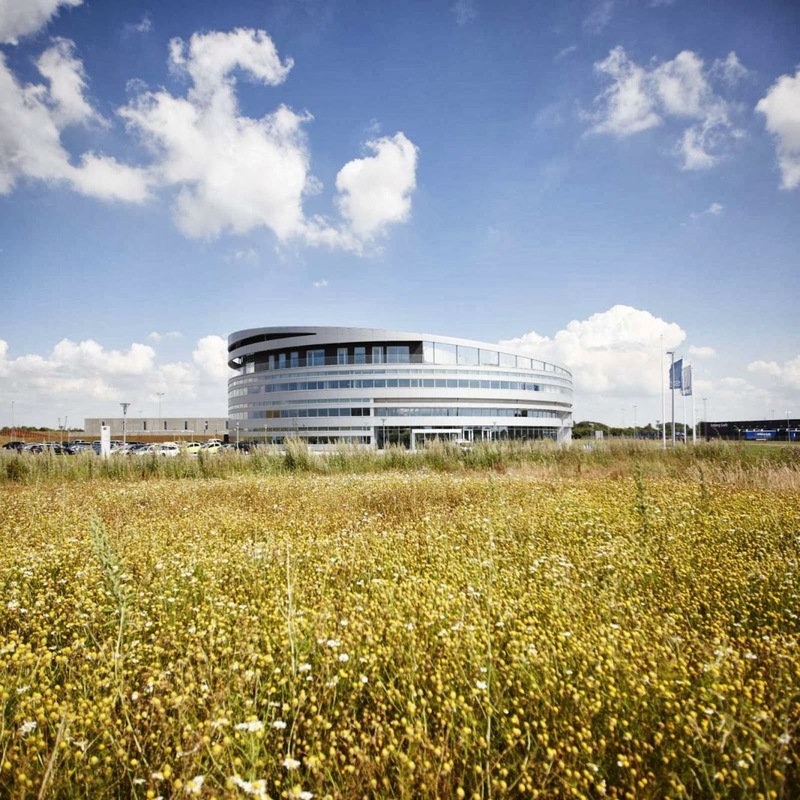 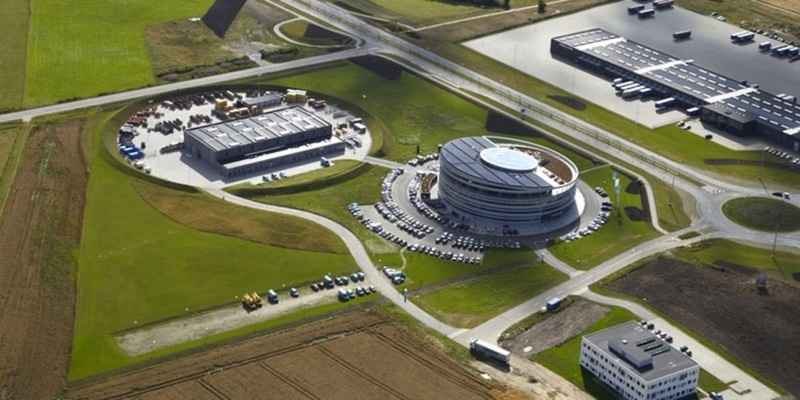 The new Plus Energi Headquarters for SydEnergi (SE) is located on a remarkable site in the southwest part of Denmark – where the countryside meets the city, next to the biggest Danish land art monument – “The hill of light”. 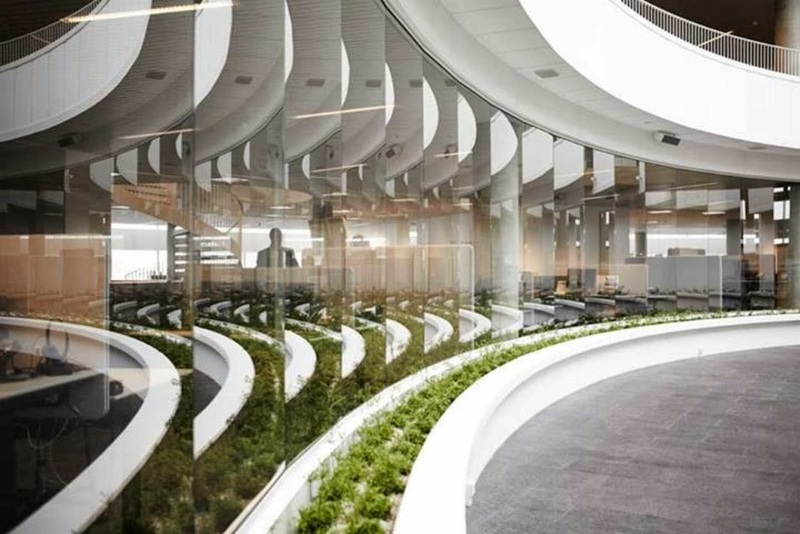 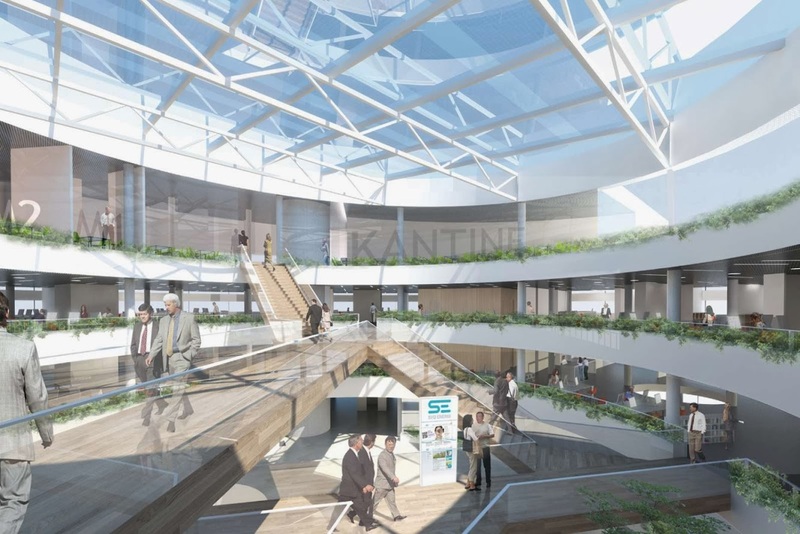 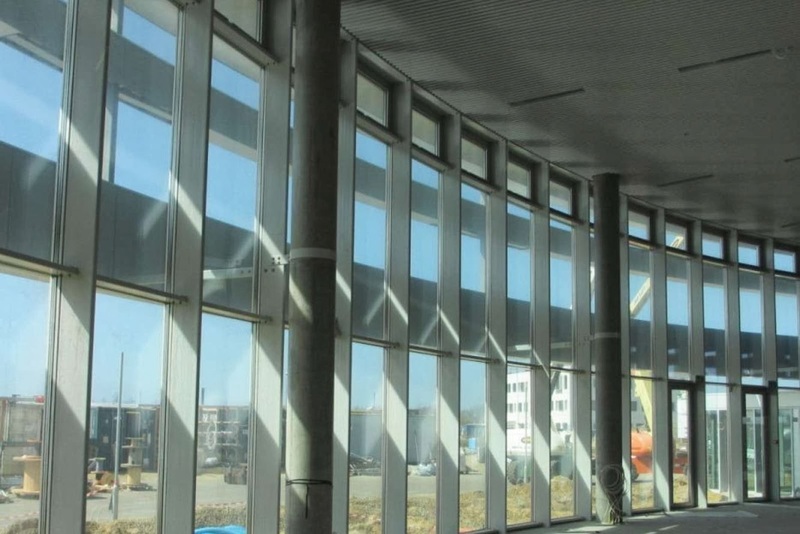 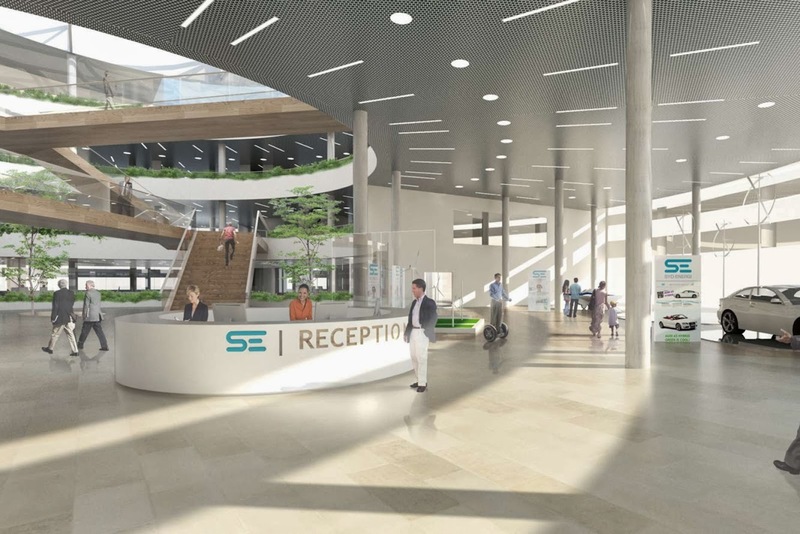 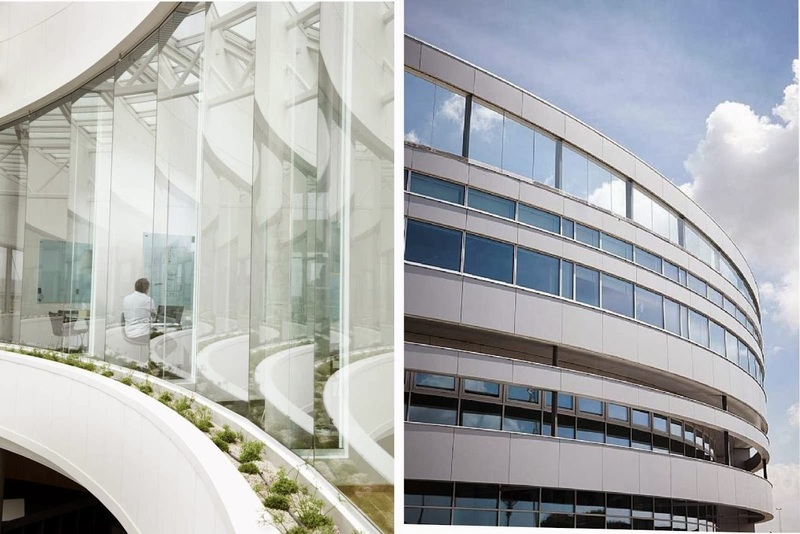 This new building for the employees at the energy company will, beside from being a great work environment, also be ground-breaking in terms of architecture and sustainability. 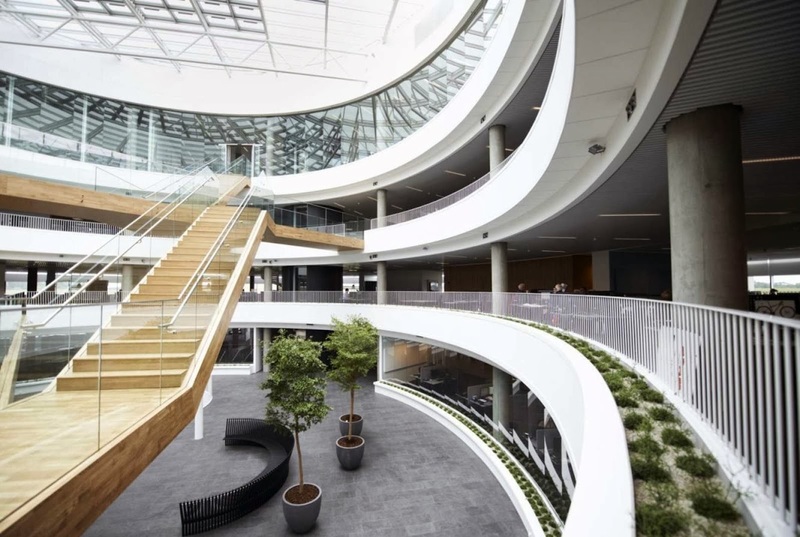 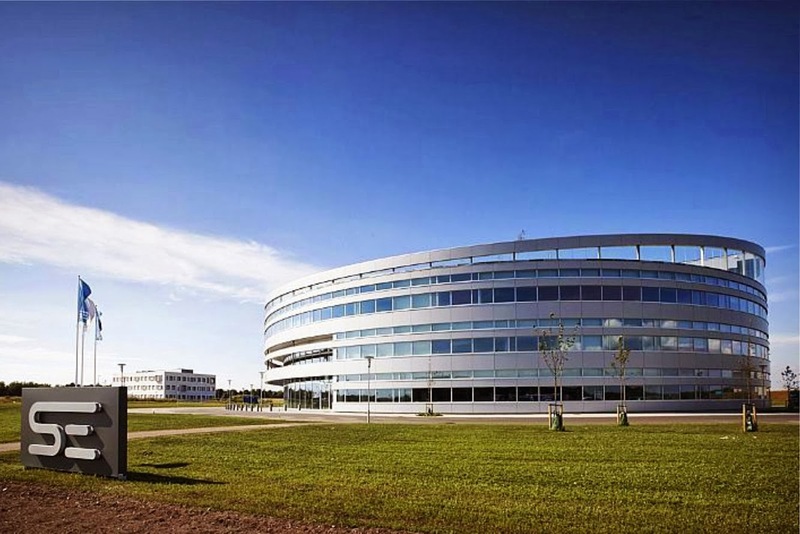 A simple and timeless design with a slanted cut on the top floor offers a dynamic, round building, that reflects Se´s company profile and the grandness of the western Danish landscape. 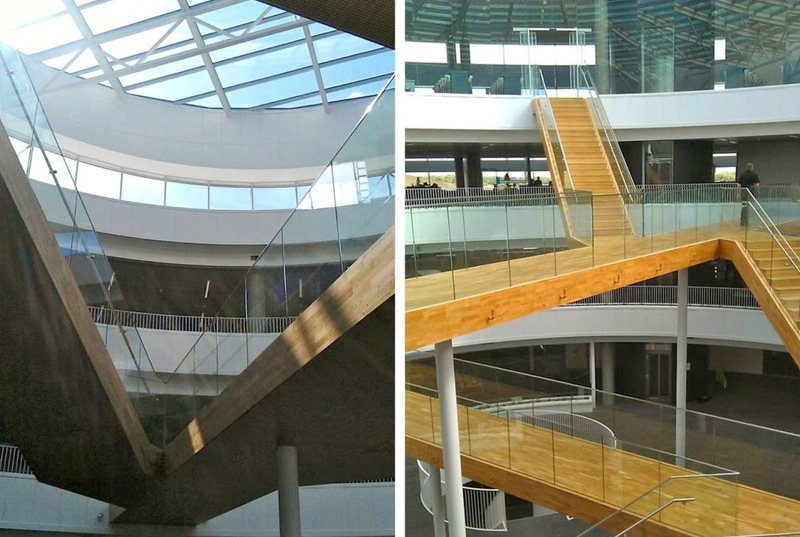 A spacious atrium in the center of the building provides light and airiness for all workspaces within the building. 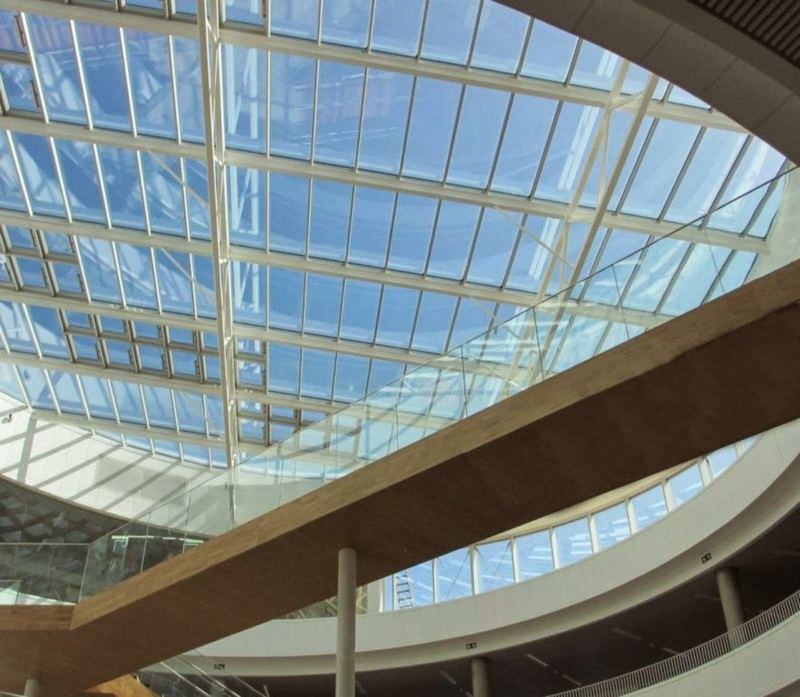 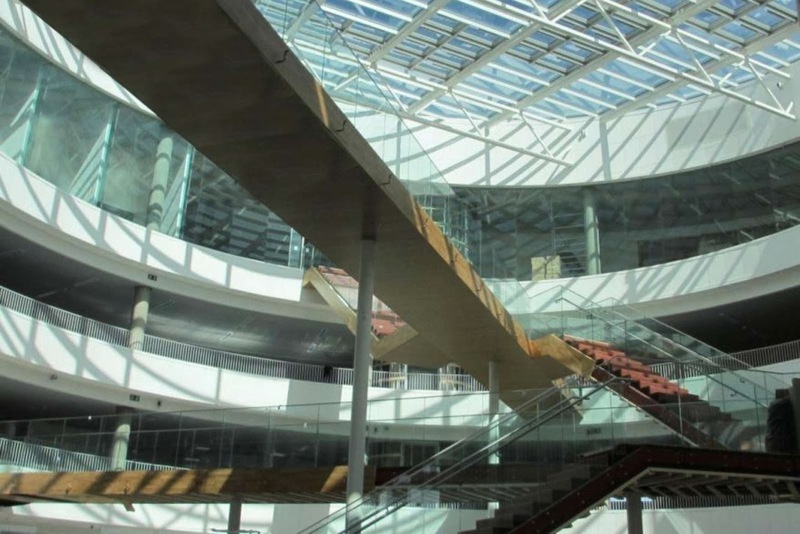 Visitors and employees are met and greeted by a large reception and showroom area, from where one via the atrium can get an overview of the entire building. 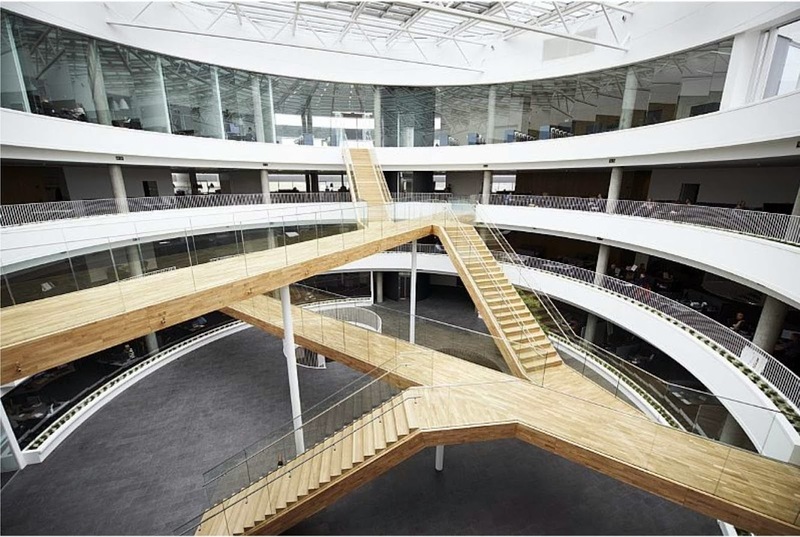 A marvelous sculpture comprised of stairs and bridges in the atrium leads visitors and employees through the building. 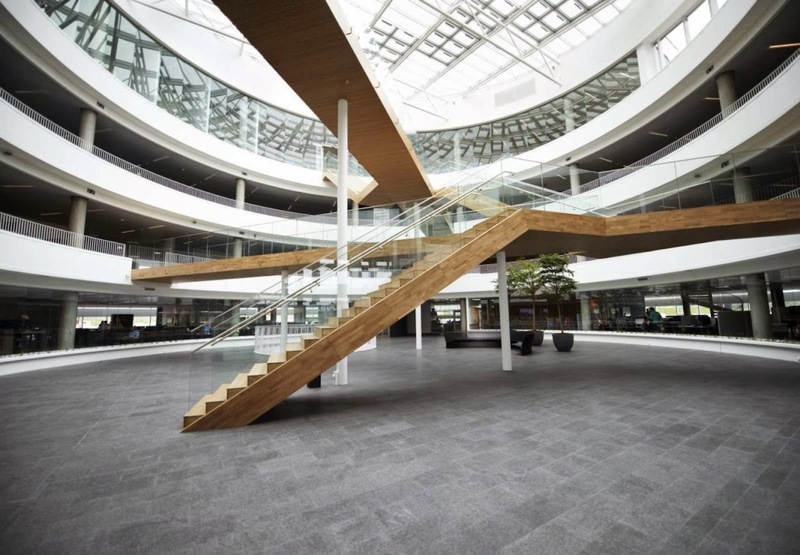 The first three floors are a mixture of departments with a combination of single and multiple workspaces in an open office environment together with modern meeting and relaxing areas. 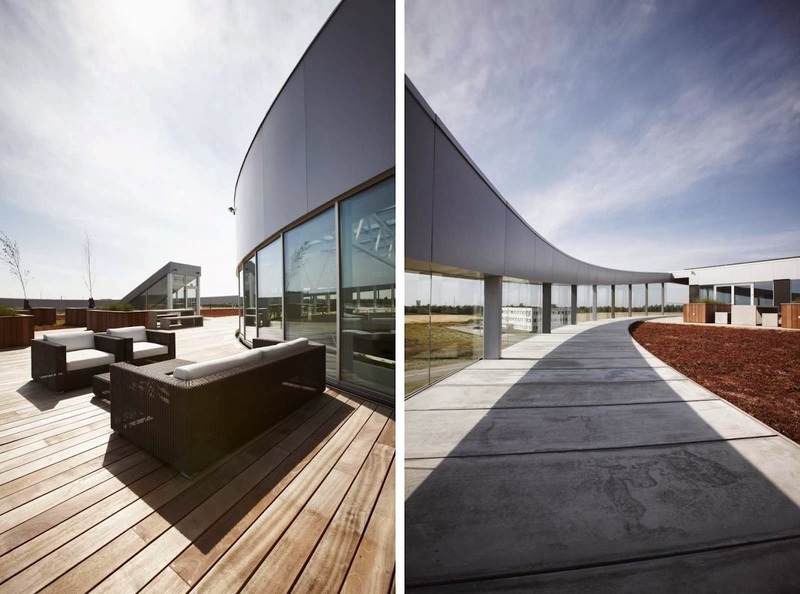 At the top floor one discovers a panoramic cantina, lounge and meeting area. 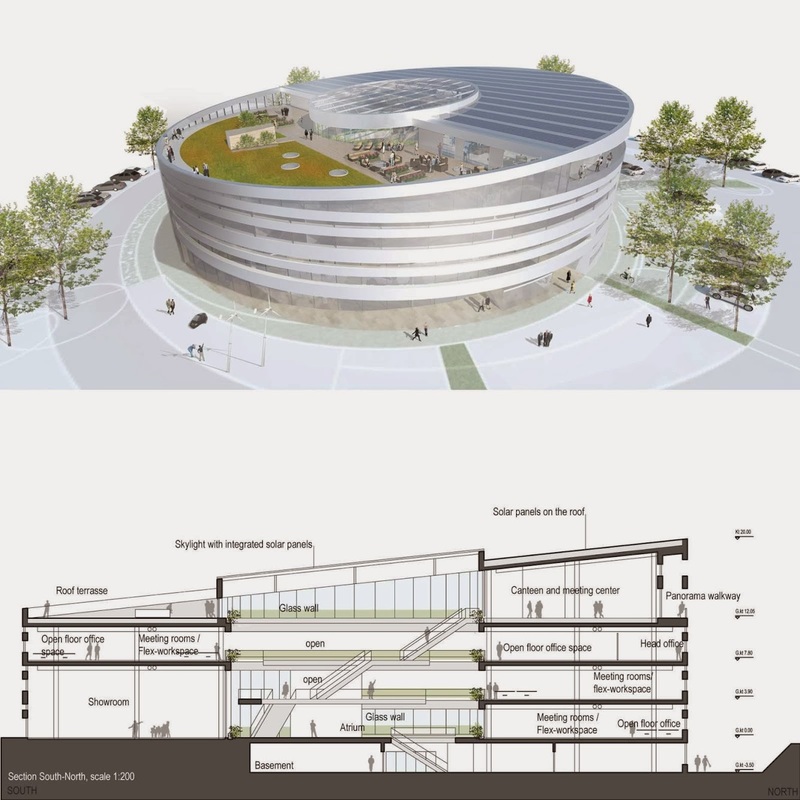 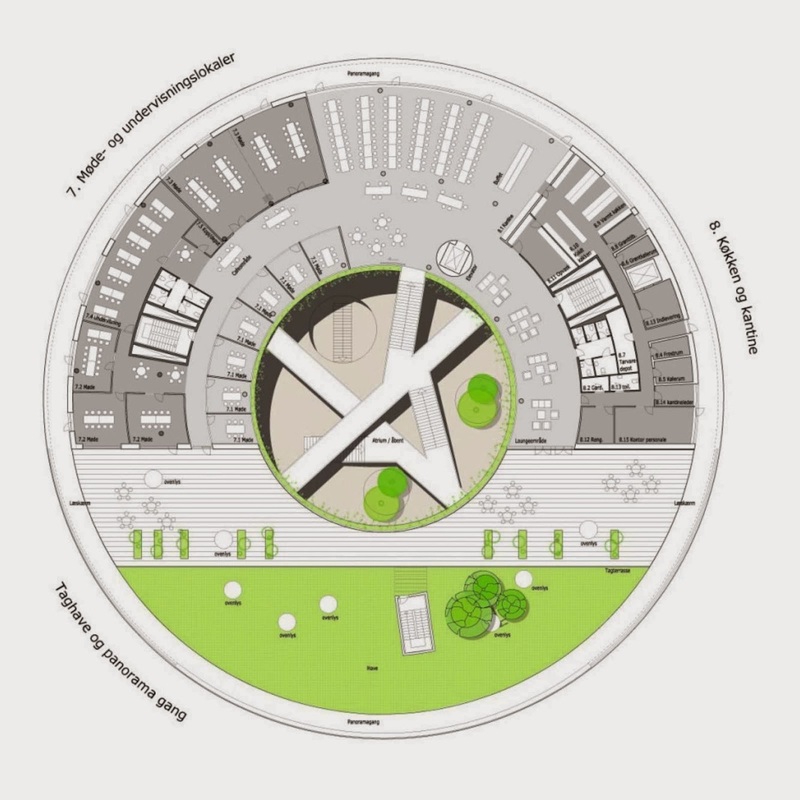 the icing on the cake is the 1000 m2 roof garden, shielded from the wind by the top aluminum-ring and glass. 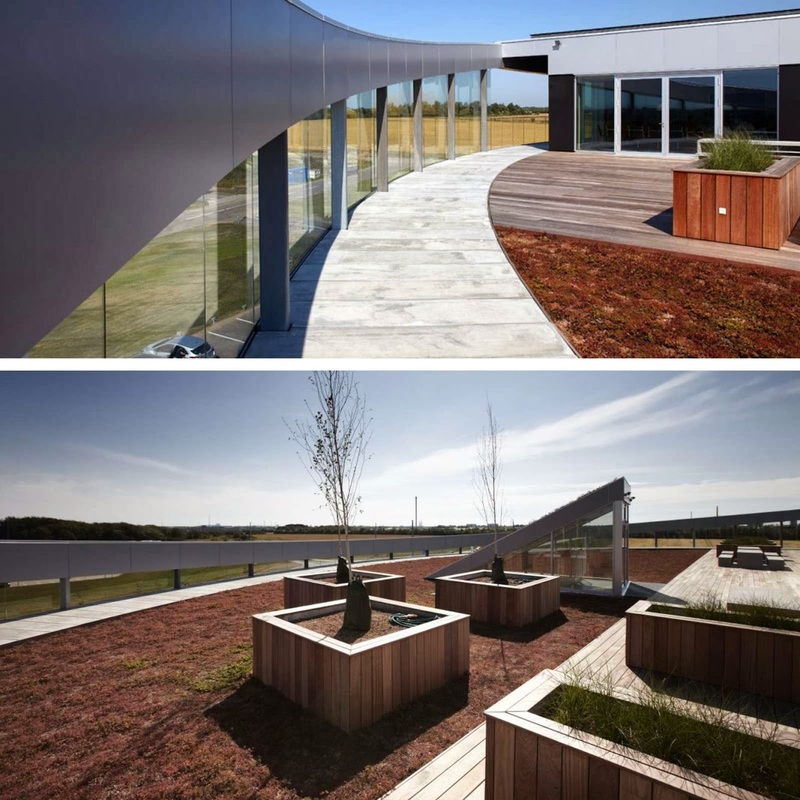 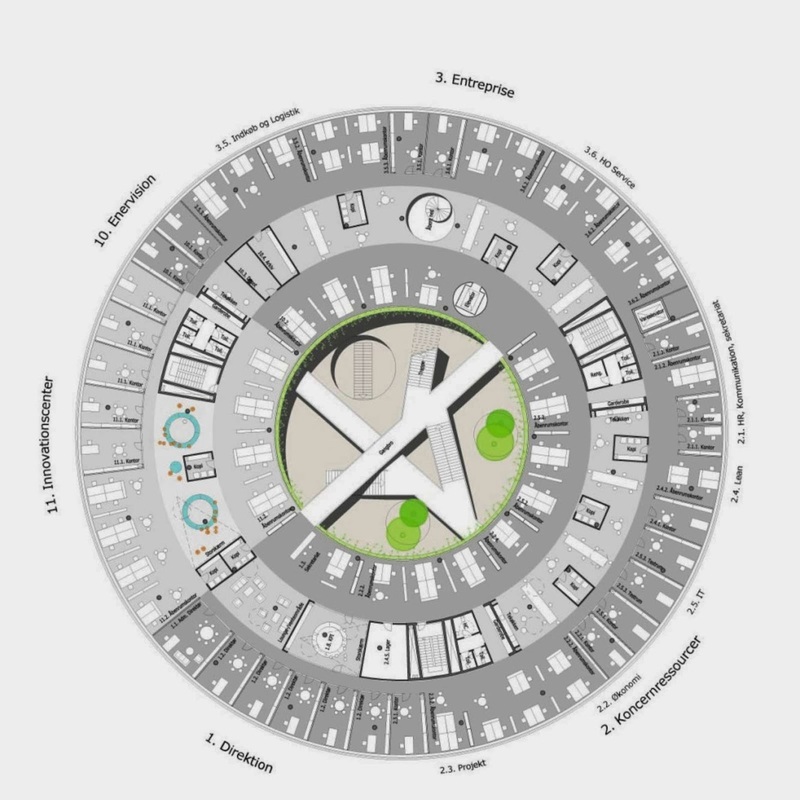 There is also a 360 degree panoramic walk around the top floor that gives an amazing view of the surrounding city, farmland, airport and the North Sea.